USA is not only celebrating one day, but since 1984 the third week of March has been dedicated National Surveyors Week to recognize and promote the many contributions by surveyors and the surveying profession in all aspects of life. U.S. President Ronald Reagan asigned a Presidential Proclamation in 1984 recognizing National Surveyors Week and asking citizens to observe this week with appropriate ceremonies and activities paying tribute to professional surveyors and their contribution to society. CLGE (the Council of European Geodetic Surveyors) launched its first day of the European Surveyor in 2012 on the 500th anniversary of Flemish geographer and cartographer Gerardus Mercator’s birth. By the initiative of CLGE and NSPS with the endorsement of FIG the Première celebration of Global Surveyors’ Day 2018 was held at World Bank Headquarters in Washington, DC. Several other countries and regions also held events and celebrations. 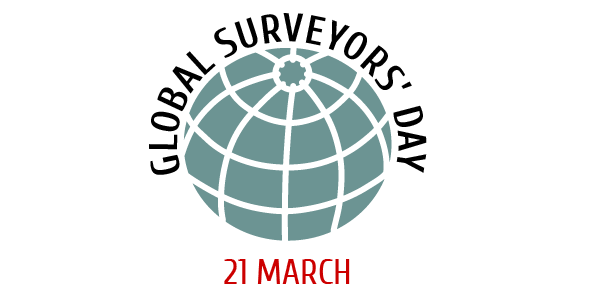 This year the Global Surveyors' Day will be held in many regions and countries, and FIG wishes all the best for all these events and activities, hoping that this will help emphasise the many contributions by surveyors and the surveying profession in all aspects of life. In 2019, CLGE will gather in Sofia (BG) on 22 – 23 March 2019, and there will be a special celebration in Bulgaria where also the new Surveyor of the Year is unveiled. This is the 8th consecutive unveiling of this kind. The celebration takes place in conjunction with a CLGE seminar, organized together with the FIG member from Bulgaria. Survey Department Sri Lanka has done a big effort to organise a celebration of the National Survey’s Day with the collaboration of the Surveyors Institution Sri Lanka (SISL).